CPT President Ian Luckett wrote in a recent blog: “…as operators we need to keep up the pressure on our elected representatives but equally it is imperative we get involved with our local authorities”. Ian was referring to the Government’s Air Quality Plan, in which local councils have been charged by Government to come up with a local plan to reduce emissions in their area: “It was pleasing indeed to see the Air Quality Plan say very clearly that buses and coaches are part of the solution,” Ian added and said “we all know reducing congestion is the key to allowing our services to flow freely through our towns and cities, and by working with local authorities we can give them a ‘user perspective’ on where the pinch points are, and where priority measures could pay huge dividends on keeping our services moving”. So what’s the best way for small bus and coach companies to “get involved with local authorities”? Many operators may have a link with their local council through running school contracts, undertaking private hires or contracted bus tenders, but these are unlikely to involve the same personnel contacts who need to be nurtured to influence the wider picture of tackling Air Quality and ensuring buses and coaches play their full role in the local economy. Where to start on a mission to be involved and influence? First up, it’s necessary to understand the structure of local authorities in your area. These vary from one part of the country to another. 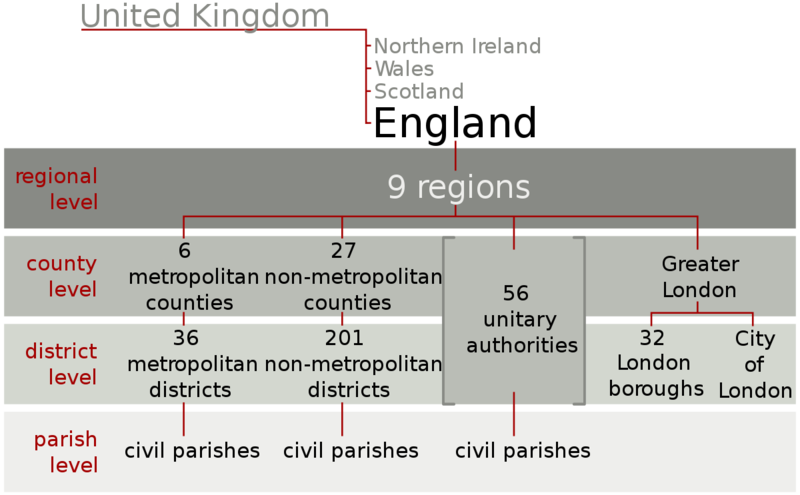 The system of two-tier authorities, with county councils dealing with strategic issues such as transport, highways, education and social services and district councils looking after local matters such as planning applications, rubbish collection and parking (including coach parking) continues in many parts of England, but some years ago to improve efficiency, county and district councils were merged to form new unitary councils running all functions in a designated area. There are 55 unitary councils in England from Cornwall to County Durham (whole council areas) with others such as Bedfordshire and Berkshire split into separately designated unitary areas (e.g. Luton and Reading). Some areas now additionally also have elected mayors while the main metropolitan conurbations are all divided into metropolitan districts. 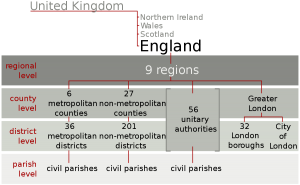 In Wales there are 22 single-tier principal areas (county councils, boroughs or city and county) and in Scotland there are 32 unitary authorities. In both cases the Welsh Assembly and Scottish Government retain key powers over transport. Each authority is run by a hierarchy of paid officers under a Chief Executive who follow policy determined by elected members (councillors), usually from one of the mainstream political parties. Councillors will serve for a term of typically four years and while some councils have elections every four years, others run a system of a quarter standing down and needing to be re-elected every year. As with central Government, the political party with the most councillors forms the majority ruling council and in many areas the leader appoints a cabinet with other councillors responsible for key departments. Increasingly voters are delivering ‘hung’ councils with no overall majority leading to local coalitions of political parties sharing roles. As well as influencing the key officers, such as the Chief Executive and the lead managers responsible for transport and the environment, highways and strategic planning (i.e. determining what land is used for) it’s also necessary to influence elected member councillors who set policy. The sensible way to begin developing such relationships is to start attending regular meetings where councillors determine policy, which are held in public. These are all advertised online and welcome members of the public turning up and taking an interest. Surprisingly, very few people actually take up this opportunity to see democracy at work and it’s therefore a great opportunity to show you’re serious about the issues being discussed. A full council meeting is probably not the best place to start as it can be a tedious procedural rigmarole, although it will enable you to see the influential leader of a council in action; but much more appropriate would be the ‘committee’ which looks after the environment and transport. In a cabinet system that could be a scrutiny forum holding the portfolio lead councillor to account. Meetings are usually held around four times a year and are often in the late afternoon or early evening so attendance can usually be worked around a work schedule. After attending two or three meetings, there’s no doubt your presence will be noticed and there will be opportunities for informal mutual get-to-know-you chats after a meeting. Your presence will certainly impress not only the councillors but paid officers who will also be in attendance too. Gradually you will be seen as a friend and a knowledgeable expert who can be counted on to provide helpful insights. An invitation to visit and tour your business premises will be a great opportunity for more discussions. We should never underestimate the influence we have in a local area as significant employers and business people making significant investments in vehicles and infrastructure; able to make entrepreneurial decisions; responsible for making profits to stay in business. These are all attributes local government officers don’t usually have in their skills base, nor often, councillors either. So you can bring a new perspective to discussions and their knowledge base. Councils often set up project groups to look at particular issues and famously use consultants (at some expense) to provide advice and recommendations. I’ve known such groups be very open to include experts such as bus and coach operators and even to ask them to take on a role such as chair of such a group. This is a great way of building relationships with local authorities and starting to influence them. Ian Luckett is absolutely right to encourage involvement with local authorities. It’s no good complaining about their policies if you haven’t put in the effort to influence. But doing so effectively will take time and patience. Next time we’ll take a more detailed look at the relevant committees which a small bus and coach operator should be aiming to influence as well as examining what a Local Enterprise Partnership does and why it can be even more important than your local council. Roger French spent 30 years of his long career running buses and coaches in Brighton and Hove. During that time he mastered the skill of engaging with stakeholders of every kind in the local community but particularly the all important local authorities. In recognition of his influence he was awarded an OBE for services to public transport in 2005, an Honorary MA by the University of Brighton in 2007, appointed a Deputy Lieutenant for East Sussex in 2007 and on retirement in 2013 Roger was awarded the highest accolade a local council can give: the Freedom of the City of Brighton and Hove.